Bored with your apps, looking for something new? 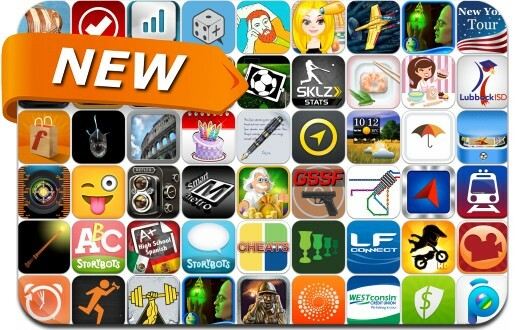 Check out these 54 iPhone and iPad apps that were just released. This new apps alert includes Millionaire, Reuters, French Girls, Pixies, BillGuard, 3D Measure, My Photo Safe, EmojiWorld Sticker Camera for Instagram, MMP Soccer, Fearless Wheels, Bills Checker, Altimeter, Rotor Episode 1, Icarus, Badayer Racing and many others. EmojiWorld Sticker Camera for Instagram! FPSStats – "Halo 4 Edition"